As co-founder of HECHO – Hispanics Enjoying Camping and Hunting Outdoors – Representative Mark Cardenas works to protect the Latino traditions that rely on national parks and other public lands. Cardenas is especially concerned that young Latinos, like other young people, learn to appreciate recreation and work to conserve our land and keep our rivers and lakes clean. As a young child growing up in Arizona, his parents took him hiking and camping, despite living in an urban neighborhood. Citing a recent poll, Cardenas said that a majority of Latinos want government to protect public land, largely due to the “deep and enduring ties” many Hispanic families have to our open spaces. Rep. Cardenas is proud to serve Arizona families and neighborhoods as a State Representative and is working to create good jobs, improve schools, including affordable access to colleges and universities, keep our neighborhoods safe, and to honor and support our Veterans. He brings proven knowledge, skills and experience to the State Capitol. In addition to his work as a state representative, Cardenas also serves a commissioner on the City of Phoenix’s Estrella Village Planning Committee, reviewing new zoning areas and land use proposals, and as an accountant for the Department of Defense, where he manages a multi-million dollar budget. Rep. Cardenas is a native Arizonan born and raised in Phoenix and an Iraq War Army Veteran who currently serves as Sergeant in the Army Reserves. A Utah native, Rebecca Chavez-Houck holds a B.A. in Journalism and Mass Communication and a Master of Public Administration (MPA), both from the University of Utah. She has represented Salt Lake City’s District 24 in the Utah House of Representatives since 2008 and focuses on public policy related to health and human services as well as voter engagement and access. She currently serves as House Democratic Whip. Rebecca’s passion for social justice advocacy and desire to develop progressive public policy was forged in the multicultural community of Bingham Canyon, where her parents met. Rebecca’s compassion for the less fortunate, pride in cultural diversity, commitment to the environment, and support for our public education system was undoubtedly shaped by her parents’ influence. Rebecca served as a public affairs staffer for a number of local Utah nonprofits from 1985 to 2007 and cultivated a parallel “career” as a volunteer for nonprofits ranging from Envision Utah to the ACLU to Planned Parenthood Association of Utah. She has taught volunteer engagement classes as adjunct faculty for the U of U’s MPA program. Rebecca and her husband, Martin Houck, live in Salt Lake City’s Avenues area and have two children, Erica and Michael. Lynn Córdova was born and raised in Denver Colorado, and recently moved to Phoenix. While in Colorado she was active in the Colorado political, immigrant, and social justice communities for many years. Lynn is presently a Consultant for Sherpa Public Affairs. Prior to her current position, she worked for the Colorado House of Representatives as Deputy Legislative and Outreach Director, and she worked as Chief of Staff in New York for the New American Leaders, an organization, which trains pan ethnic immigrants to run for office. 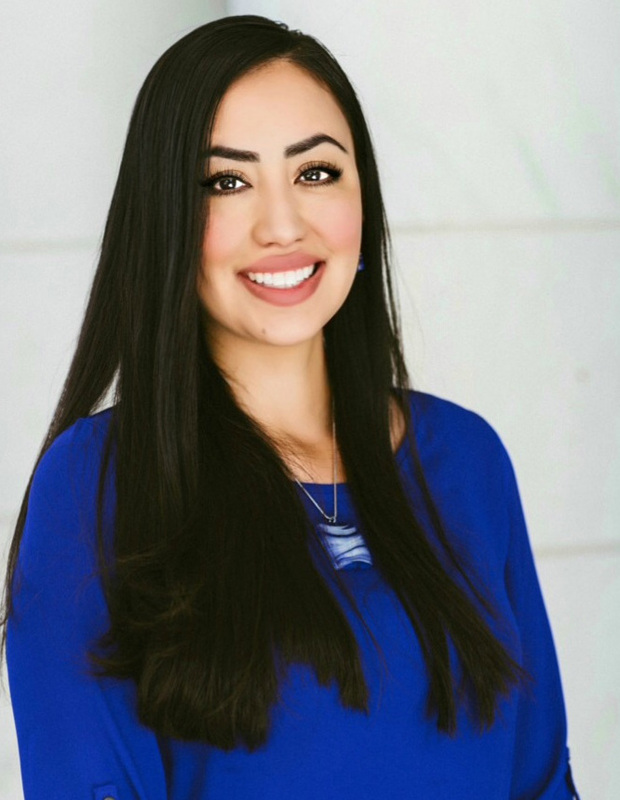 Additionally, she worked as a Director of Operations for the Colorado Immigrant Rights Coalition and Program Director for the Latina Initiative. Lynn also spent several years working as the Regional Recruitment Supervisor for the College Assistance Migrant Program at Metro State University of Denver (MSUD). During the 2010 legislative session, Lynn worked as a Legislative Aide for State Senator Abel Tapia. She spent five years as a Lecturer/Tour Guide for the MSUD Language and Culture Institute Study Abroad Program during which she worked in Mexico and Central America. Lynn holds a Bachelor's Degree in Chicana/o Studies from Metropolitan State College of Denver and a Master's degree in Public Administration from the University of Colorado Denver. Nevada Senator Mo Denis has been serving as a state representative for ten years. Born to immigrant parents from Cuba, Mo was raised in Las Vegas from an early age and was taught to care for and respect his community. He has done just that for nearly 20 years having served in the PTA, library board, as an assemblyman and most recently as state senator. Mo advocates for families and community members on key issues like education, tax reform, economy and consumer advocacy. His heart and energy are focused in fighting on behalf of his constituents and his five children and wife of 31 years, Susan. Sylvia Lovato Huereña was born and raised in Flagstaff, Arizona. She started fishing since the time she could hold a pole, and her family has lived off the local land since before Arizona was a state. She remembers frequent family trips when the men would hunt and the women would prepare the harvest for sustenance. Sylvia is retired from her job as a Special Education Aid for the Flagstaff Unified School District. Today she enjoys spending her time going on camping, hunting and fishing trips with her husband Lupe; her kids Jesse, Angel, Sarah and Alexis; and her 10 grandchildren. She epitomizes what HECHO is all about – enjoying our public lands and passing down traditions of stewardship to the next generations. Kent Salazar is a lifelong resident of New Mexico and an avid hunter and outdoorsman who has been supporting conservation efforts on local, state, and national levels for the past 20 years. Kent has served on the New Mexico State Game and Fish Commission and currently serves as the western vice chair of the National Wildlife Federation Board. He also serves on the Valles Caldera Trust Board, appointed by President Barack Obama, in addition to the HECHO Board. Lenore Loroña Stuart has served as a member of the Yuma County Board of Supervisors in Arizona for 15 years; and serves as the Chairwoman of the National Association of Counties Immigration Task Force. She was formerly the President of the County Supervisors Association of Arizona. During her tenure she helped shape public policy and represented all of the counties and county supervisors in the state. Among her many contributions to preserving public outdoor recreation areas, Lenore was a member of the Yuma Crossing National Heritage Area Board, under the Direction of Charles Flynn, that helped transform an unusable wetlands area into a beautifully restored and easily accessible riverfront. Lenore is a fifth generation Yuman. Her back ground is rich in local history. Her great grandfather, Jose Maria Redondo, was well known in Yuma history as a rancher and entrepreneur in early Yuma. He was a member of the Territorial legislature, a Yuma County Supervisor and the second Mayor of Yuma. Lenore is married to G.W. Stuart, Jr.
Viviana Reyes is the Innovation Manager for the Latino Community with the Girl Scouts– Arizona Cactus-Pine Council. In this capacity, she helps develop strategies for engaging Latina girlsand their families in Girl Scouting. Viviana believes in empowering young girls to discover their leadership capabilities through enriching experiences such as skill building programs, community service projects, and environmental stewardship. She and her daughter, Vida, enjoy exploring their state through their many adventures. Rock Ulibarri is the San Miguel County Commissioner for District 1 and former educator. He spent many years as a middle school teacher and continues to use his expertise to teach youth leadership at the community college for at risk youth, teach grassroots organizing and nonviolent resistance at United Well college, and guide students into the backcountry to teach Leave No Trace wilderness practices. The Ulibarris were one of the original 36 families that settled in Las Vegas, New Mexico and Rock is part of the 7th generation of his family born in the Sangre de Cristo Mountains. With a back fence that borders a national forest, Rock has spent his life roaming the outdoors and going backcountry hiking and horseback riding. Mark is serving his seventh term as a member of the Utah House of Representatives. Since 2004, he has been serving the constituents of District 35 which encompasses South Salt Lake and Murray, Utah. Rep. Wheatley’s legislative assignments include the Higher Education Appropriations Standing Committee; Business and Labor Committee, Judiciary Committee; Administrative Rules Committee and the Native American Liaison Committee. A graduate of Westminster College with a degree in Human Resource Management, Mark was named 2007 Alumni of the Year by Westminster College for his work and involvement in serving his community. Mark has 15 years of experience working for Salt Lake Community College serving as an administrator for several educational programs. Mark has been married to Josie Valdez for 32 years. They have two sons, Mark, and Carlos. They are the proud grandparents of 4 terrific grandchildren.